Anybody in India who watches TV news or reads newspaper knows well that times are getting dangerous and no place is now safe. The crime rate is increasing day by day and situation is getting quite scary, especially for girls. Thanks to the mobile phones, we do have a way to stay connected with our loved ones no matter where we are. But in times of danger, just having a mobile phone in hand isn’t enough. It can very easily be taken away, or destroyed, or one might not even get a chance to use it to call for help. Well, fortunately, developers have been working hard to provide smartphone users with security apps that can help in such situations. 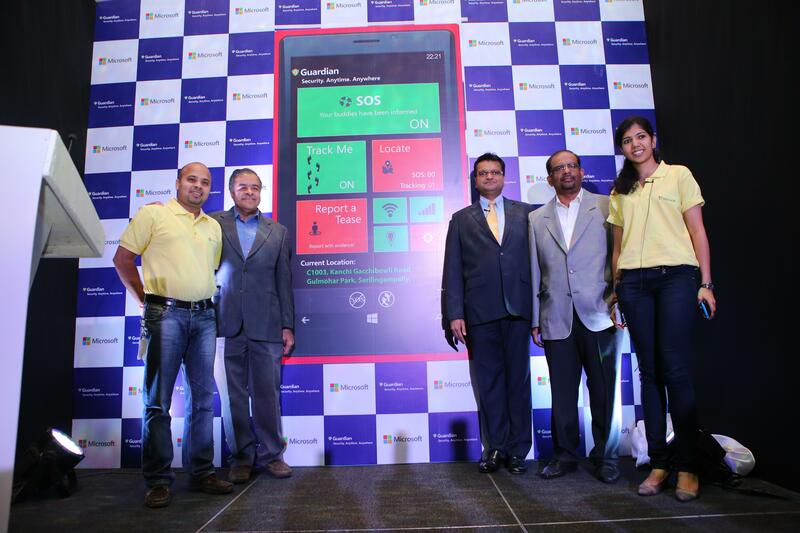 Just today, on December 26, 2013, one such app was announced in New Delhi by Microsoft India. This new app is for Windows 8 mobile users. (Android users, check this out). This brand new Windows App is called Guardian and comes loaded by features designed to keep track of the user and fetch quick help in case of emergencies. The Guardian app has been developed by a group of Microsoft employees. Its various features include ‘Track Me’ that allows for the friends and family to track a person in real time using Microsoft Windows Azure Cloud Services and Bing Map APIs. The app also has an SOS Alert button using which the users can call for help. To use this button, the user has to add the names of the people and security groups to be contacted in case of emergency. And then, when the need comes, the user just needs to tap at the SOS button. This sends an SMS to all those contacts informing them about the emergency. This SMS also includes the location details of the person in distress. If configured to do so, the tap of this SOS button can also broadcast emails and Facebook messages to chosen contacts and Facebook groups, providing real time tracking details. The SOS continues sending messages even after the phone is destroyed. It can be used via SMS without internet connection, and also saves the SOS photos on cloud to be used as evidence if needed. The app also provides means to quickly connect to police and hospitals in case of danger. The app also allows for one touch video recording. And best of all, it ensures that the mobile device is traceable, even if it gets broken.